AlienWhoop flight controller for Tiny Whoop, Blade Inductrix, Eachine, BetaFPV, and other micro brushed quadcopter frames. Fully complete and hand assembled in the USA. Best in class flight controller running BetaFlight 3.2 release candidate (upgradable)--no surface mount soldering required. Highest-performer ST Microelectronics ARM Cortex-M4 core F4 OVERCLOCKED to 240 MHz!! Latest BetaFlight firmware running the ALIENWHOOPF4 or ALIENWHOOPF7 target. Capable of 32kHz gyro sampling and 32kHz PID loop with overclocked F4 in BetaFlight 3.2 (32kHz gyro sampling rate might not be optimal depending on features selected 16/16 or 16/8 might be preferable). Extreme power. Choice of either (1) Fairchild Semiconductor FDMA410NZ MOSFET with 9.5A continuous and 24A burst brushed motor insanity (8.5mm coreless scream), (2) FDMA410NZT MOSFET with 9.5A continuous and 63A burst, or (3) Infineon Technologies IRFHS8342 MOSFET up to 75A pulsed!! Choice of external receivers. Officially supporting FrSky XM and XM+ (SBUS), LemonRX DSM2 and DSMX (SBUS), and FlySky FS-A8S (iBUS) satellites. Please let us know if you prefer a 3-pin satellite connector to be soldered on the board or left off with exposed through holes for soldering your own directly. If you're chosing an addon receiver below let us know if and how you want us to install it. ** Active duty and honorably discharged veterans take $10 off the price. Contact via Facebook for a refund. 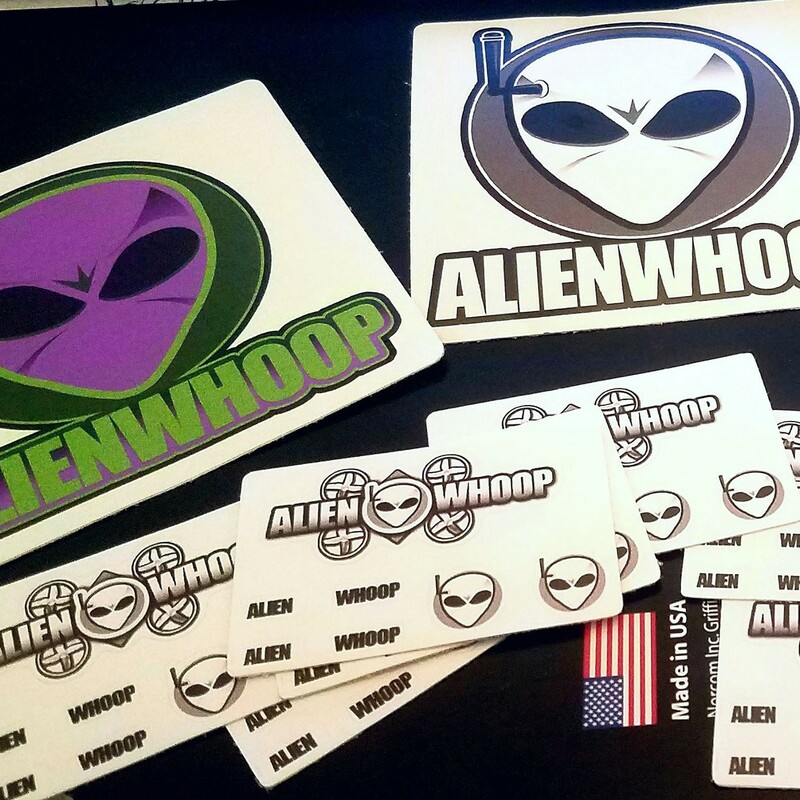 AlienWhoop is open source hardware licensed under CC BY-SA 4.0 International. Enthusiasts are encouraged to build their own from scratch. Recognizing that building a flight controller is not always possible for each person due to time, disability, funding for tools, or comfort we have decided to make it possible for people to still enjoy flying an AlienWhoop and share in the community spirit. lienWhoop V2 brushed quadcopter flight controller with BetaFlight 3.2 pre-loaded, MPU-6500 gyro, PowerWhoop pigtail pre-soldered, and any upgrades/accessories purchased. Due to stock shortages the F4 processor (168MHz) will be used. For most everyone the MPU-6500 6-axis motion processor will be the ideal match of price and functionality. If you fancy experimenting with a compass you might consider upgrading to the MPU-9250 which is basically the MPU-6500 with an additional 3-axis magnetometer (compass). For those who prefer a no-soldering-required approach to adding the external receiver this is the perfect solution. Designed by Benedikt at Micro Motor Warehouse specifically for micro brushed builds like the AlienWhoop. This is hands down our favorite external receiver. It comes out of the box without a case (unnecessary weight), builtin bind button, and 16 channels and is a perfect match with the Taranis Q X7 remote for an affordable full featured whoop experience. This is the full range version of the FrSky XM and boasts two antennae while still weighing only around 1 gram. For Spektrum users we love the Lemon RX series for the price and ease of use. Remove one or two screws and pop off the plastic housing. Weight watchers may prefer to desolder the 3-pin header plug. Or use the Micro Motor Warehouse satellite cable and plug directly into the AlienWhoop. DSMX should give slightly better performance compared with DSM2. 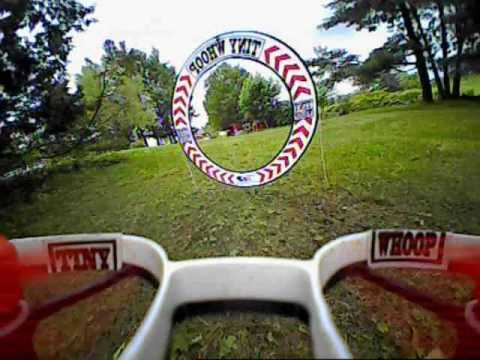 On a whoop you may not notice. Same as the above LemonRX except DSM2 only and a few bucks cheaper. We have used these for many months with Spektrum transmitters and they have a bit of a micro brushed builder cult following. 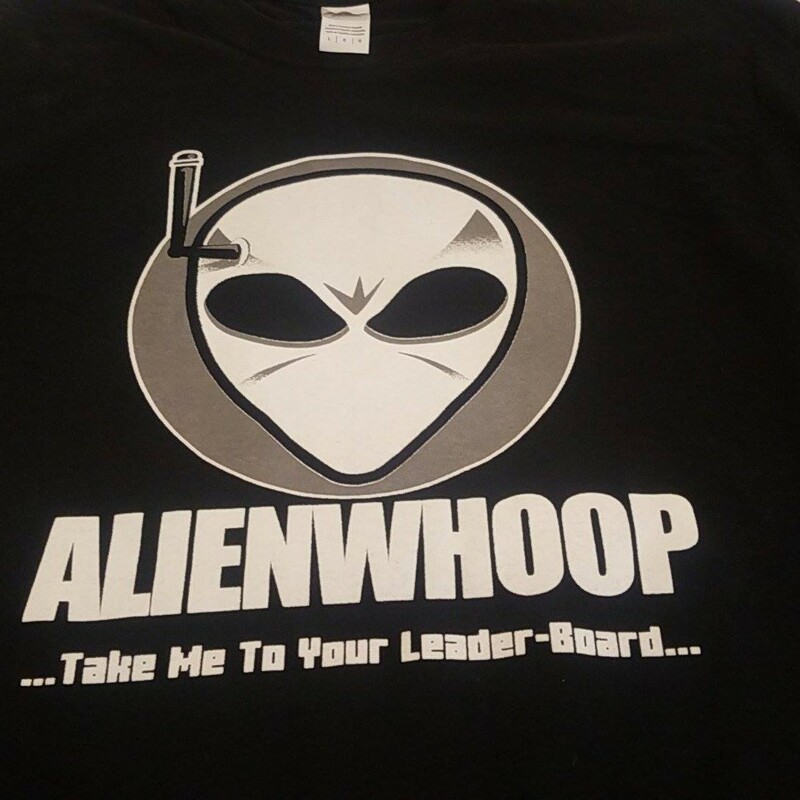 AlienWhoop T-Shirt, "Take Me To Your Leaderboard". Black preshrunk cotton. Sizes range from Small through XXL. 1 sheet Tiny vinyl decals to decorate your whoop, goggles, transmitter, and more. 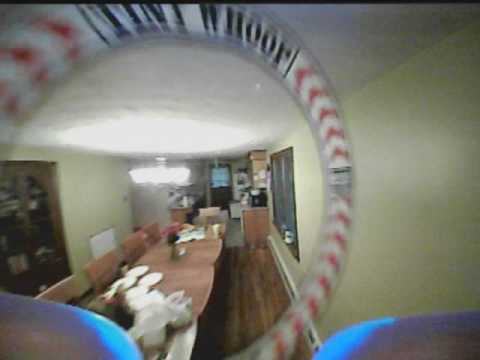 The words ALIEN and WHOOP fit in the front ducts to show your alien pride on FPV DVR footage. Large stickers and t-shirt not included. 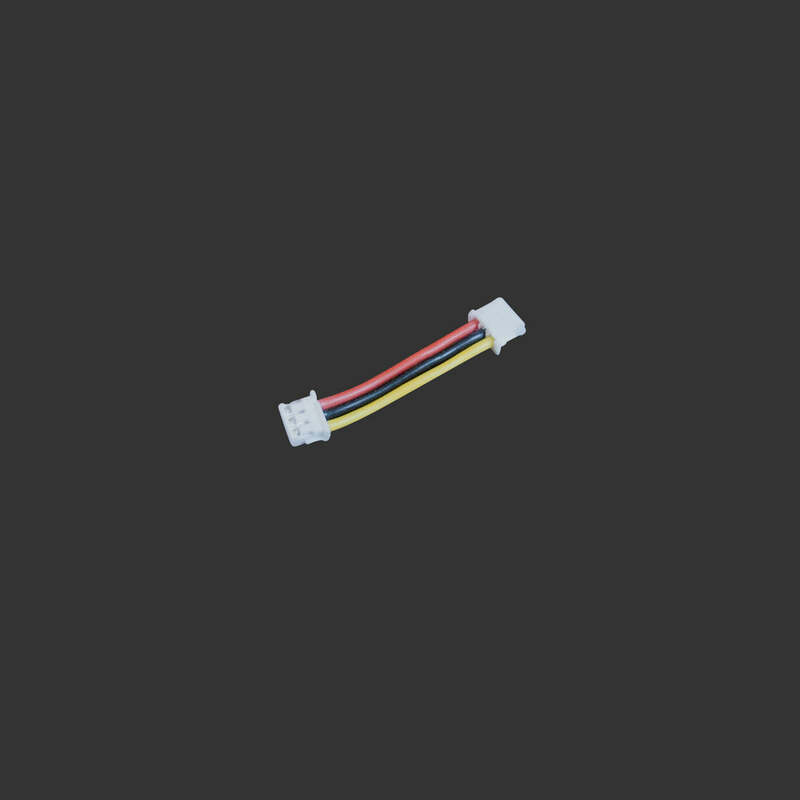 I have just created the GroupGet for AlienWhoop V2 Flight Controller (Round 2)!